Let's start with a journey into the history of debates past. 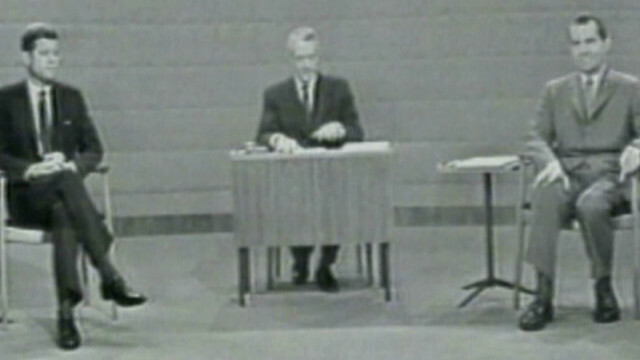 In this piece, Weekend Edition Saturday host Scott Simon explores some of the lesser known facts and trivia of past debates. What's it like to moderate a debate? Former ABC News anchor Carole Simpson knows. In 1992 she moderated a debate featuring George H.W. Bush, Bill Clinton, and Ross Perot. In this WNYC original, she shares the experience of sitting in the big chair. OK, we couldn't help ourselves. Our very own Candy Crowley, host of CNN's State of the Union and our Chief Political Correspondent, is moderating the second debate on October 16 at Hofstra University in Hempstead, NY. In this episode of The Takeaway, she talks about her upcoming job as moderator and what it means to be the first woman to in 20 years to do so. Be sure to check back next Sunday for a new playlist. Happy listening!